Inside a Coptic church in Deir El Adra, in the Minya Governorate, Upper Egypt. Last Friday (16 June), the Coptic community in Saft el-Khirsa, 180km south of Cairo, woke up to find their three-storey community centre had been broken into and sealed off by police, and their furniture, rugs and religious icons were lying on the street outside. The building had been allocated to them after attacks on their homes in July last year. An official explanation for the raid and closure of the building was not given, but a local source told World Watch Monitor it was caused by the visit of a local bishop. Anba Stephanos, bishop of the city of Biba, had come the previous day (15 June) to comfort one of the families who had lost a son in the bus attack in Minya on Ascension Day and had also visited the community centre. Muslim residents apparently interpreted his visit as a sign the Copts wanted to build a church in the village, and alerted police. The incident shows how Egypt’s Copts are not only facing the challenge of Islamic State militants, who have vowed to “wipe them out“, but also the daily challenge of living in a country where their constitutional right to freedom of belief and expression is challenged by their Muslim neighbours. In Saft el-Khirsa, a town of around 12,000, including approximately 70 Christian families, there are ten mosques but no church. And Saft el-Khirsa is far from unique; similar situations can be found across the country. The Copts here have used their building as a community centre and sometimes also as a place of worship, though whether they have permission to do so is unclear. In November last year, they applied for a license, but there has been no official response, nor any indication when they might receive one or what would help their case. 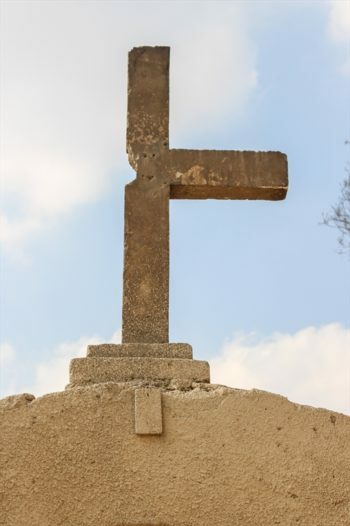 Previously, in July last year, the Copts in Saft el-Khirsa were the subject of a violent attack over rumours they were building a “house church“. Coptic homes and stores were pelted with stones by angry crowds, shouting “We don’t want a church”, and “No god but Allah, Christians are the enemies of Allah”, according to local witnesses. In a similar case last year, Copts in Koum al-Loufi, Minya, were attacked and four of their houses set on fire by local Muslims following a rumour that one of the houses was going to be turned into a church. According to the Washington Post, Minya Governorate has experienced the largest number of sectarian attacks, with more than 75 targeting Christian residents in the past six years. But in an official statement issued on 18 April, Al-Azhar said “Sharia prohibits every kind of assault against human beings, regardless of their religion and belief”, and “Islam also binds Muslims to protect all places of worship and to treat non-Muslims with kindness”. Copts, who make up 10% of Egypt’s population, also complain about “double standards” for Muslims and Christians. In an interview with La Croix, Victor Salama, a professor at Cairo University, says “the Islamisation of society in Egypt has led to a turning inward by the Coptic community itself, which has also had consequences”. “The public sphere has become Muslim and today we are witnessing double-standard justice,” Salama says.